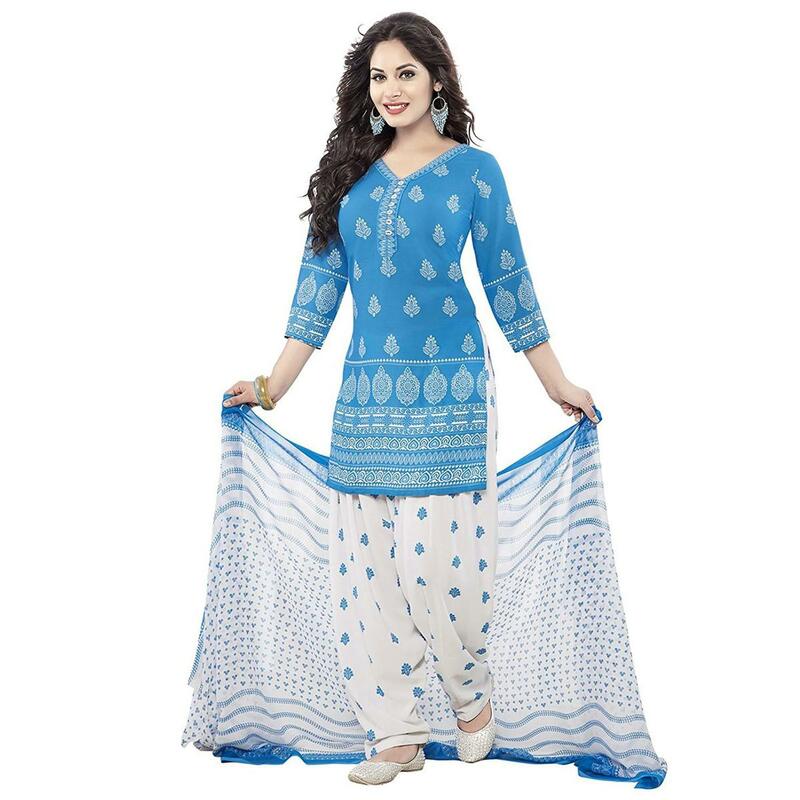 This unstitched suit in blue - white is designed using crepe fabric and detailed with traditional design prints. This dress material also comes along with crepe bottom and chiffon dupatta with printed motif's. Get this dress material stitched according to your style and comfort so that you can wear it for your casual purpose.